There doesn’t seem to be a day that goes by without some verbal spat between Donald Trump and Kim Jong Un – the US v North Korea. In light of this and with the threat of all out war seemingly getting ever closer to a reality we asked our expert Psychics for their read on the situation. 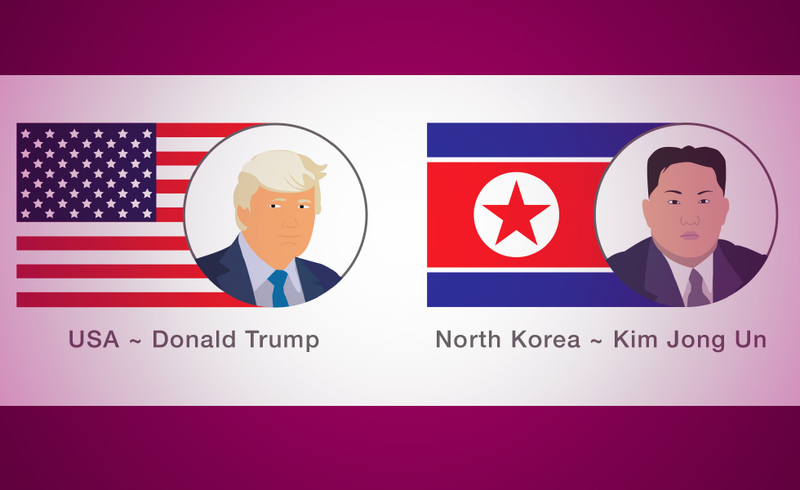 In this modern day David and Goliath clash between the United States and North Korea, who has the upper hand, will it lead to all out war and is Donald Trump the best man for the job? We asked our gifted Psychics the difficult questions in order to get you the answers. Using their natural gifts and their own tools of Tarot Cards, Rune Stones and Crystal Balls, our Psychics addressed the key points of the current war of words between the two nuclear powers. We’ve created an infographic to interpret the answers, see what they came up with, do you agree? Let us know what you think in the comments section below. Previous ArticleFergie And Josh Duhamel….Another “Perfect” Couple CrushedNext ArticleCan everyone help eliminate hurricanes? Seems to me as if this is completely biased, and nothing but propaganda for the left or liberalism in its current manifestation. I feel bad for people who are fooled into thinking you actually know what you are talking about. Yet what is the worst element here, is your claim that a series of psychics agreed with you, without providing any evidence for this statement. On the bright side, maybe this ridiculous stance will encourage people to seek answers within and not from self proclaimed Psychics.